The Majestic SCCMPPT Solar Charge Controllers are specially engineered to give your batteries the best possible charge, whilst maintaining an algorithm which is gentle for sensitive electronics. 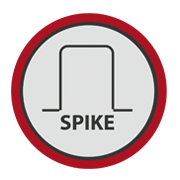 This ensures that your batteries are not only getting the best possible charge whilst your electronics are not going to be exposed to harsh electrical transients. 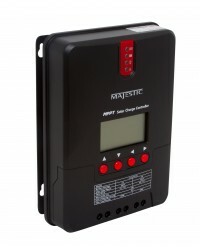 The Majestic 40 Amp MPPT Solar Charge Controller SCCMPPT40 is engineered so that it monitors the Solar Panel generating power, and then it tracks the highest voltage and current values in real time, this enables the Majestic 40 Amp MPPT Solar Charge Controller to charge the battery with maximum power. 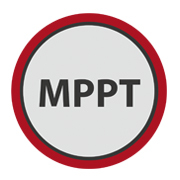 The MPPT Solar Charge Controller has an LCD Screen which dynamically displays the status of the operating parameters, controllers logs, control parameters and much more. The user can easily check the parameter settings and using the touch buttons easily adjust for various system requirements, it is designed to be easily controlled. The Majestic SCCMPPT Solar Charge Controllers are specially engineered to give your batteries the best possible charge, whilst maintaining an algorithm which is gentle for sensitive electronics. 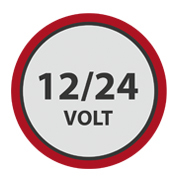 This ensures that your batteries are getting the best possible charge whilst your electronics are not going to be exposed to harsh electrical transients. Feature packed the Majestic SCCMPPT Solar Charge Controllers provide four stage of charge: Sustaining Charge, Boost Charge, Float Charging and Equalizing Charging to ensure maximum battery life. Combined with intelligent LED Light controls to let you know the charging status. 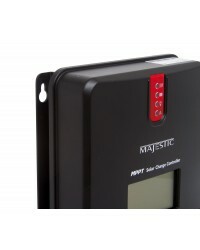 The Majestic SCCMPPT Solar Charge Controllers are the ultimate addition to your solar system. 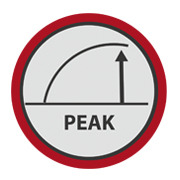 Engineered with advance software and hardware the Majestic SCCMPPT Solar Charge Controllers use dual-peak or multi-peak tracking technology, so when the solar panel is partially shadowed or part of the panel does not work, this results in multiple peaks on the charge curve, the Majestic SCCMPPT Solar Charge Controllers are able to accurately track the maximum power point to ensure you get the best possible charge. Using the latest in state of the art technology the Majestic SCCMPPT Solar Charge Controllers use a special algorithm to enhance the maximum power point and therefore improve the energy efficiency of the solar panels which raises the charging efficiency by 15% to 20% compared to conventional PWM Chargers. 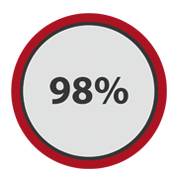 The MPPT tracking efficiency is as high as 99.9% which gives you almost maximum power transfer from your solar panels to the Solar Charge Controller. 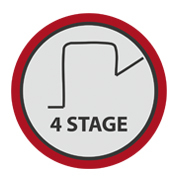 This means that your are getting the best possible performance from your solar panels to the Solar Charge Controller, the better quality solar panels the better the charge rate. 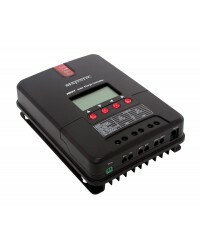 Developed with advance digital power supply technology the Majestic SCCMPPT Solar Charge Controllers internal circuit energy conversion efficiency is as high as 98% which means only 2% is not used from the solar panels, which makes the Majestic SCCMPPT Solar Charge Controllers one of the most efficient chargers on the market. 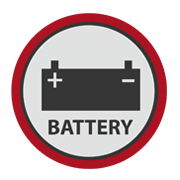 Various battery types such as Lead Acid, Gel Cell, Sealed Batteries, Open Batteries, Lithium Batteries etc, all require different settings. 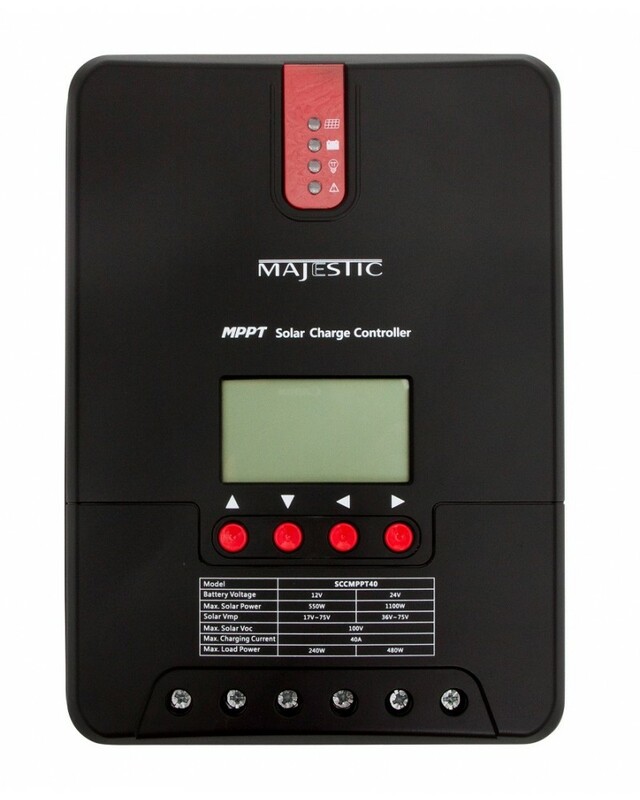 The Majestic SCCMPPT Solar Charge Controllers provide a variety of different charging programs. For those that need something special there is a custom setting available to set up your own parameters based on your system. 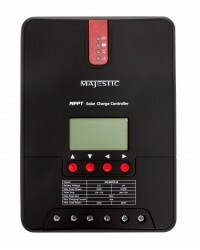 The Majestic SCCMPPT Solar Charge Controllers features a limited current charging mode, which monitors the solar panel power and when this exceeds a certain level which is larger than the rated charging current the Majestic SCCMPPT Solar Charge Controllers will automatically lower the charging power and bring the charging current to the rated level. 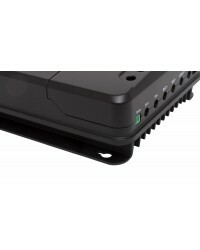 This prevents both damage to the charger as well as the battery system. Being compatible to both 12 Volt and 24 Volt batteries the Majestic SCCMPPT Solar Charge Controllers is fully auto sensing, so simply wiring up the batteries to the Majestic SCCMPPT Solar Charge Controllers and it will detect the voltage and know if it is 12 Volt or 24 Volt system. The Majestic SCCMPPT Solar Charge Controllers are fitted with two sets of displays. 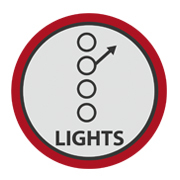 Firstly the LED Lights provide charging status so you know exactly what is happening, as well as fault light indicator so that you are able to identify if there is a wiring issue. Secondly the LCD Display which allows you to check the operating data and status but also modify the charging parameters. 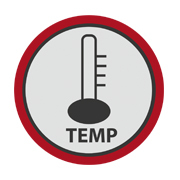 Internal temperature is very important to ensure that the charger is not overheating. The Majestic SCCMPPT Solar Charge Controllers has a built in over temperature protection mechanism, so when the temperature passes preset internal values, the output charge current will decline in a linear proportion to reduce the rise in the temperature of the controller, and therefore protecting it from damage.